I have to tell you, that my sister used to always make meatloaf. The thought of meat in loaf form, even before I was strictly plant-based, always made me feel sick. 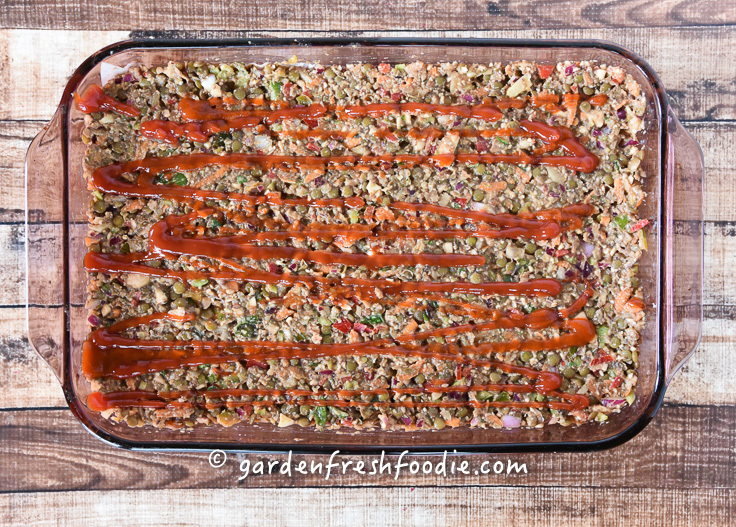 I can’t even use “loaf” in the title of this post, hence the title lentil cassoulet! Since the last time I had red meat was in 9th grade (FYI-that was a long time ago), I have never even desired to make a mock version of it. 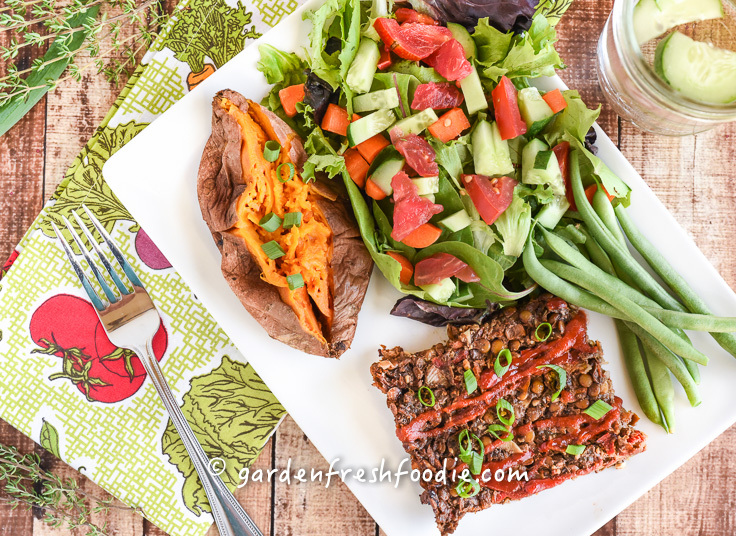 I recently made Dreena Burton’s recipe for lentil pie from her book Plant Powered Families. It was awesome, but the kiddos didn’t love it. Enter my sister again. My sister, yes, the meatloaf making sister, is trying to get her family to eat more beans and veggies (yeah!!). She’s got a really tough crowd in her house. She made this one night when she had us over, and now it’s a staple in her house. Being a person who is a great cook, she always just throws a bunch of stuff in a bowl and out comes deliciousness. When I asked her to tell me how she makes it, her response was-“I take a bunch of lentils and throw enough veggies in it to fill a big bowl”. Well-most people do need a little more direction than that. Right? 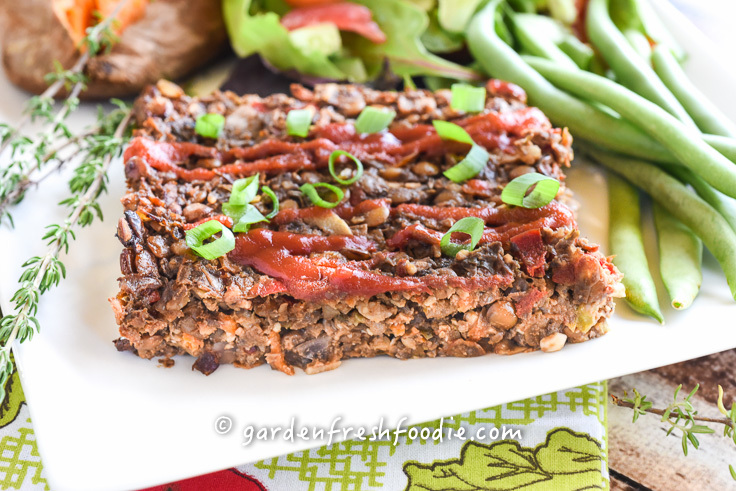 So…I decided to create, and measure….enter this lentil cassoulet or mock vegan “meatloaf”!! Often I am looking for a meal that can be done ahead of time, as well as making enough for 2 nights of dinner (or more for lunches). We have been running like crazy between work, school, soccer, and life commitments. 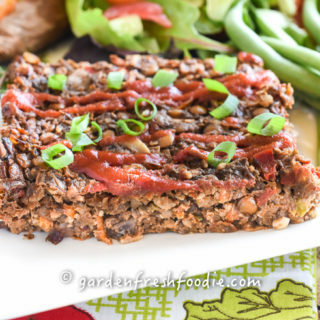 Having a dinner like this lentil mock “meatloaf” does the trick. What’s better, is that it’s even tastier reheated, and you can freeze it!!! Use what veggies you have on hand, and don’t be afraid! The base of this is recipe is lentils, onions, and mushrooms. Feel free to mess around with the rest of it, and be sure to let me know what changes you made! Plus-since it’s plant based, you CAN actually taste it raw, and adjust the seasonings as needed (can’t do that with grandma’s real meat version!). 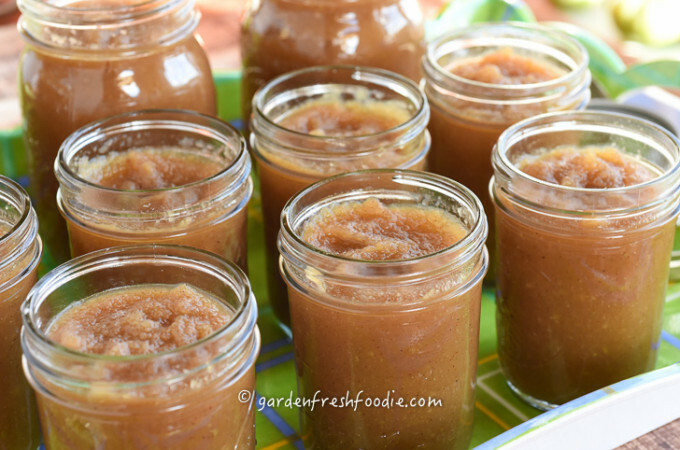 This is great to double so that you have enough for a big holiday (like Thanksgiving) or to have on hand for multiple dinners. This recipe is enough to serve 8-10 people, or 2+ family dinners. Lentils are awesome legumes to weave into your rotation. They are packed with plant-based protein, have virtually no fat, are high in fiber, magnesium, potassium, and cook up easily without pre-soaking (always good when you’ve forgotten to pre-soak!). 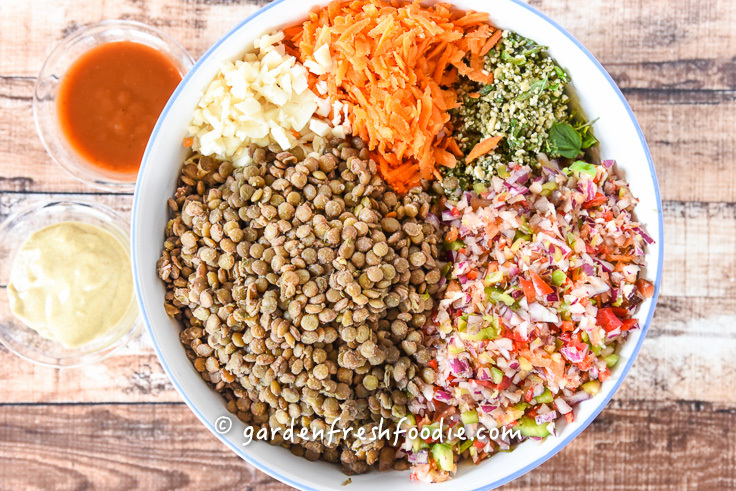 The lentils in this recipe are great on their own too! We use them as salad toppers to have on hand for weeknight lunches. If using on their own, I’d up the salt a pinch. 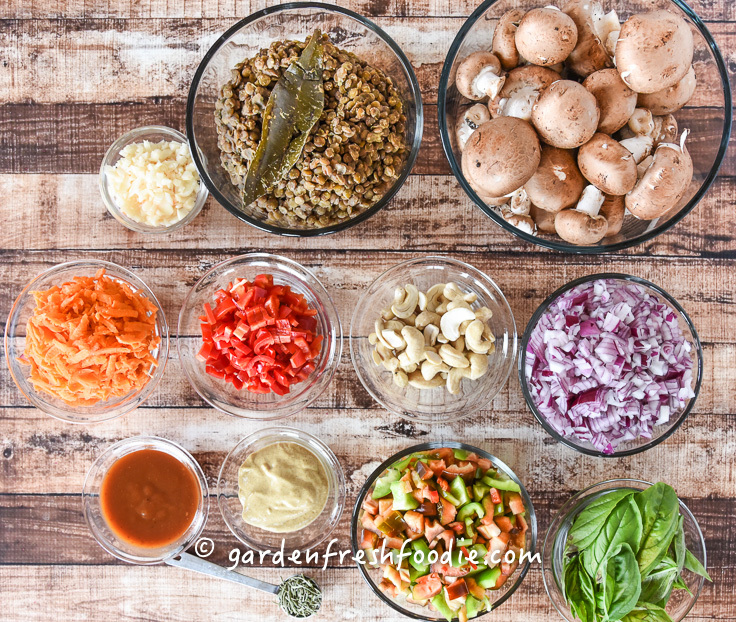 For other lentil dishes, check out these healthy lentil recipes. Place all of the lentil ingredients into a pot, bring to a boil, and then reduce to a simmer until water is absorbed or lentils become tender, about 25-30 minutes. If lentils are softened before all water is absorbed, then drain extra water, if they look like the need more water, add more water. Place cashews into the food processor and pulse until ground into a meal texture, add fresh or dried herbs, rosemary, and garlic and pulse until combined, but not mush. Add this to the mushrooms. Add remaining ingredients into the bowl and mix until combined. Season with salt and/or pepper to taste (if needed)-yes you can taste this version (no E. Coli or salmonella harboring here!). 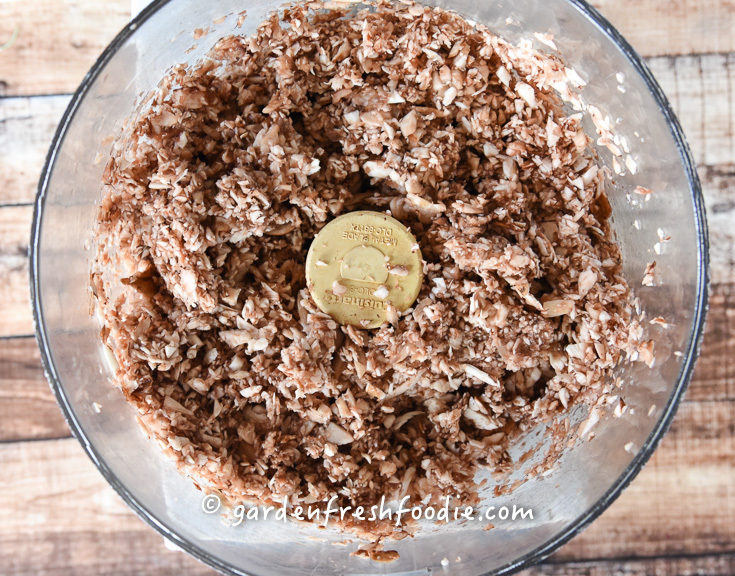 Spread mixture into a 9×13 pan or 2 glass pie plates, pressing into place. If using the pie plates, you can save one for another night if desired (can freeze). You can line the dishes with parchment, but I have found this isn’t necessary if using glass. If using a metal pan, you may want to line to prevent sticking. Bake uncovered for 1 hour 20 minutes. This is great frozen, and/or reheated. To reheat: place loaf onto a stone pizza or baking sheet, or cookie sheet with parchment. The stone will help the loaf crisp up. Can be topped with additional ketchup or BBQ sauce, and cook until reheated. Loaf with crisp up. 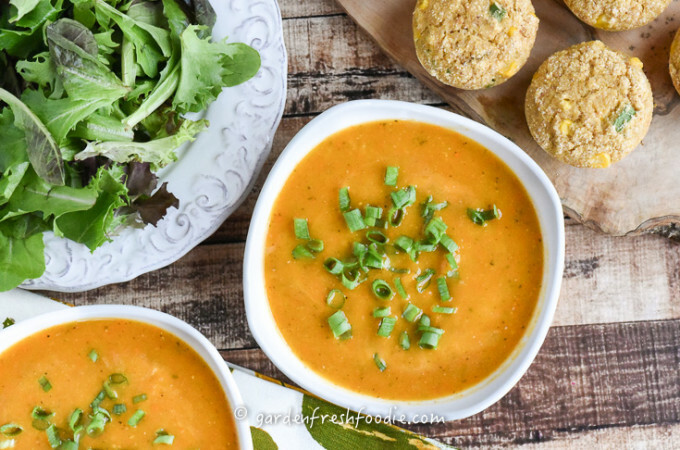 Serve with baked sweet potatoes or baked sweet potato fries, and a big salad! Peppers add a good amount of Vitamin C, an important antioxidant to boost immune health. Peppers contain 4xs the amount of Vitamin C than an orange! Garlic and onions help fight inflammation in the body, as well as all of the other ingredients in this dish (minus the BBQ sauce). They help with circulation in the body as well. 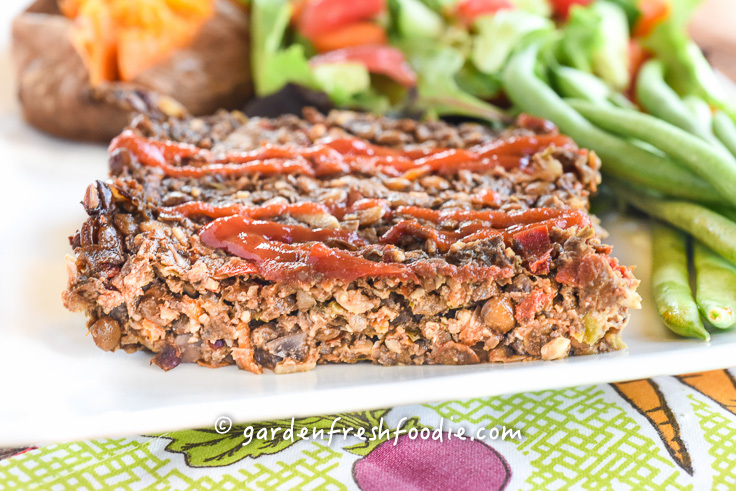 Lentil Cassoulet or Mock Lentil Meat Loaf-the perfect main dish to take to your next holiday meal! 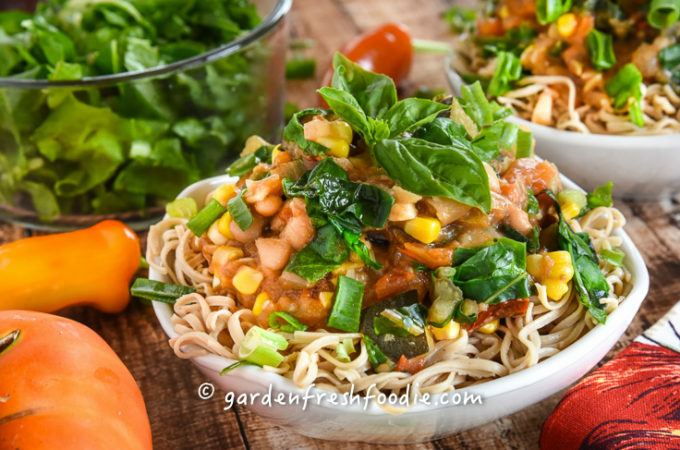 Double for a large crowd, and use whatever veggies/herbs you have on hand! Place all of the lentil ingredients into a pot, bring to a boil, and then reduce to a simmer until water is absorbed or lentils become tender, about 25-30 minutes. If lentils are softened before all water is absorbed, then drain extra water, adding more water if they appear dry. Spread mixture into a 9x13 pan or 2 glass pie plates, pressing into place. If using the pie plates, you can save one for another night if desired (can freeze). You can line the dishes with parchment, but I have found this isn't necessary if using glass. If using a metal pan, you may want to line to prevent sticking.